Priti Paul was already in Morocco mode. Serves me right for changing the date of our appointment so many times and then finally meeting her just on the eve of her departure to Marrakesh! Meeting her at the Oxford Bookstore in Connaught Place, Delhi, was a good idea and a bad one. A good idea because I got to catch her annual symposium dedicated to Indian literature and translations, titled From Walls to Bridges, which had the likes of Namita Gokhale, K Sachidanandan and Aditi Maheshwari participating in it; a bad idea because it was Priti’s show. And, she also had a zillion things to do before she left the country. She had had an opening of Ashish Avikunthak’s work at her Apeejay Arts space in collaboration with Chatterjee & Lal, the previous day. Her oldest son wanted access to her iPad and while she turned around so that he could not see her password, her youngest arrived, looking very sleepy after his very first sleepover — at the age of five! In the meantime, she was awaiting the results of an X-ray of her middle son’s toe, that he had injured. Her three boys, Jad, Kais and Jai, moved comfortably around; obviously it was a place they were very used to. Priti cajoles her youngest to go and have lunch with his nani at the Cha Bar until she can join them, and he replies in chaste Hindi, the language she uses most to communicate with her children. She wants to bring them up grounded. There is no way she is going to let them forget their mother tongue. She disappears once again, helping her children add messages on the lofty, artificial tree at the entrance of the store! Ah, well! I sample the delicious cookies recommended by Priti from the Cha Bar, as I wait. Her serene office, decorated in pristine white, seems an oasis from the bustle and hullabaloo of the bookstore and Cha Bar next door. The only bright spots of colour are on the vibrant colour-coded files of her three sons. This store is the latest in the chain of about 30 stores, making CP (as Connaught Place is called by Delhiites) once again a destination for book lovers after many a bookstore closed shop in the area. Book launches, conferences, book readings…there is everything a bibliophile would expect from a good bookstore. Priti admits to being a voracious reader, having bought over 25 books during the sixth edition of the Apeejay Kolkata Literary Festival 2015 held in January this year, without really meaning to. And she spent a year reading translations of 18th and 19th century French writers, having planned the order chronologically in advance. That was after she had spent a year doing the same with books by early Bengali writers. 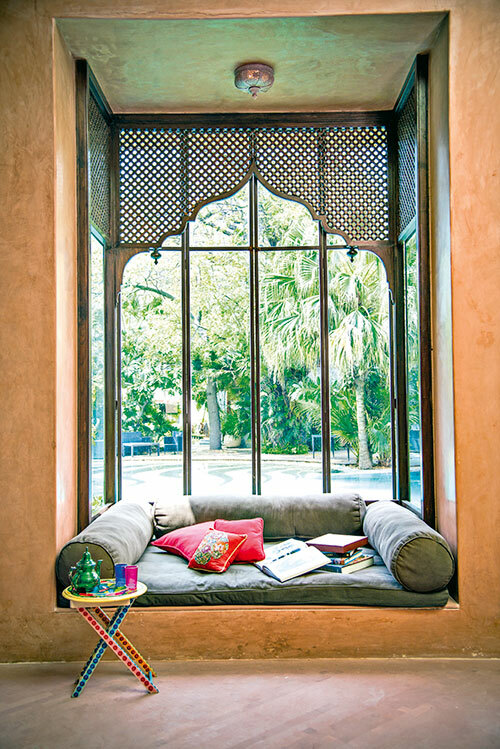 Her new home in Delhi (on Aurangazeb Lane) is a variation of her magnificent home in Marrakesh, Villa Kadiri. 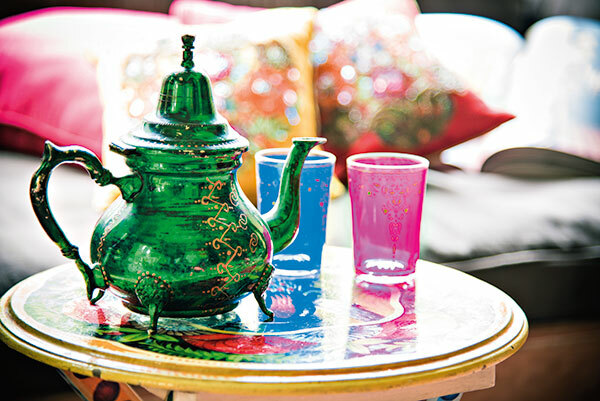 Typically ‘Marrakeshi’, it is a labour of love — that of Priti, her Morrocan husband Jaouad Kadiri and architect Stuart Church. In Delhi, the lush garden and pool are shared with her mother and sister, not to forget the adorable resident Labrador who has free, unauthorised access to the pool, all year round! 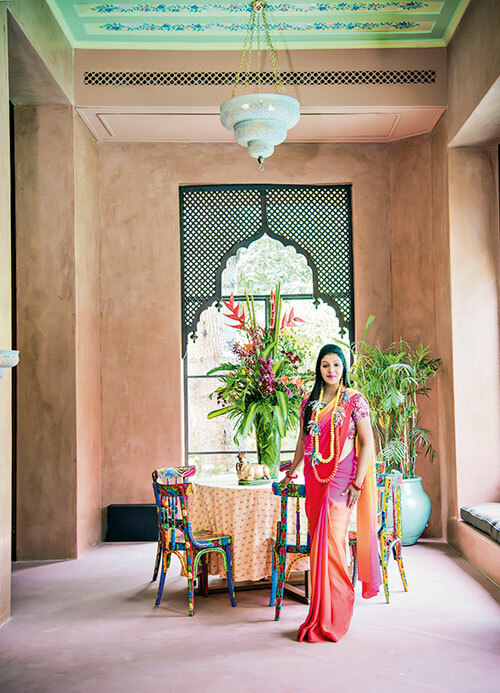 With all the diverse projects that she is a part of, one tends to forget that Priti had originally trained to be an architect and would have probably still been one if not for the untimely demise of her father when she was 21. The three siblings (Priti, Priya and Karan) had to put their personal ambitions of that time aside to rally together to keep the business empire going. The Delhi home has been designed by the couple; high ceilings, ethereal-coloured walls, trelliswork over arched doorways and innumerable cosy alcoves to sink into and enjoy in the garden, or to just read in, maybe? She smiles indulgently over the fact that her husband is a collector — of everything from large sculptures to paintings to bric-a-brac. She is partial to paintings. Not just the big names, but anything that catches her eye, her latest being a video installation that she had hoped to have set up before she left but had not had the time to. “Next time!” she says. And her eyes light up at the memory of the four paintings by an unknown artist that they both had instinctively liked and purchased for their new home. ‘Literary translators are a special breed, acting as a bridge between cultures….’ is a quote out of her conference invitation. It could well be a partial description of Priti herself. 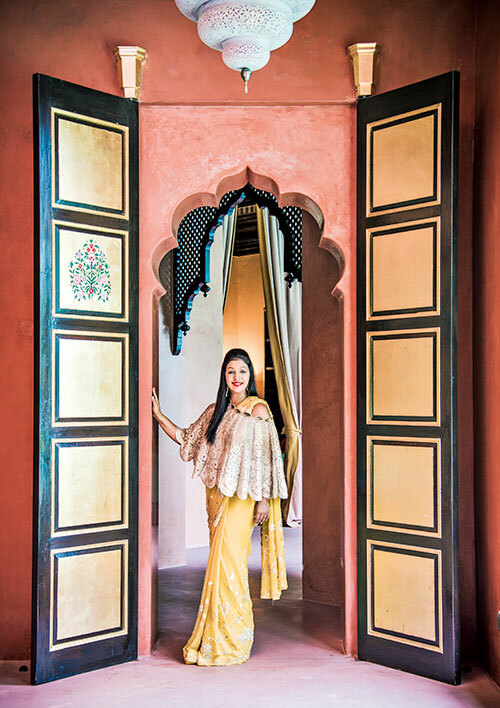 Bridging Europe, Africa and Asia effortlessly, she spends time seamlessly in Morocco, London, Delhi and Kolkata, every year. She is excited by the fact that she has the opportunity to be influenced by all these cultures. Having been at the helm of the Apeejay Surrendra Group, along with her mother, brother and sister, since an early age, her share of responsibilities include the real estate business, the London office and of course, her favourite, the Oxford Bookstores and their accompanying Cha Bars. She takes the job of revitalising the slowly-deteriorating habit of reading very seriously. It helps that, while her 30 bookstores are located all over the world, her focus is on the iconic one in Kolkata. The flagship store is an undeniable part of the literary landscape for which the city is so famous. Has it really been around since 1920? Ninety-five years, 25 of which have seen Priti herself striving to draw readers to her store. She started the Apeejay Kolkata Literary Festival right there in 2010 in memory of her father Jit Paul, with the store as the nucleus and heritage spots like the Victoria Memorial, National Library and Indian Museum, as additional venues. She believes that the people of Kolkata truly appreciate the value of a lit fest. The city where she grew up and spent her formative years is itself special to Priti. As I wonder at the unusual pen-holders on her desk, she says she had been inspired by her father whose unusual pen-holders, made from tubular steel, had caught her eye. 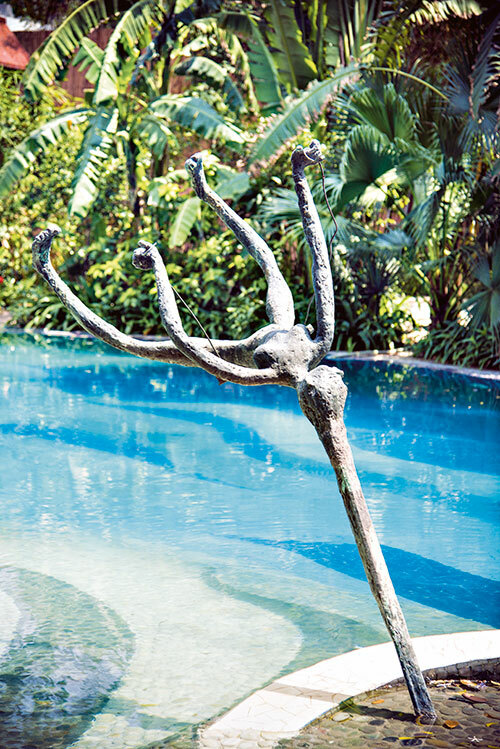 She took to it herself, improvising and adapting and subsequently making a name for herself as a sculptor…. 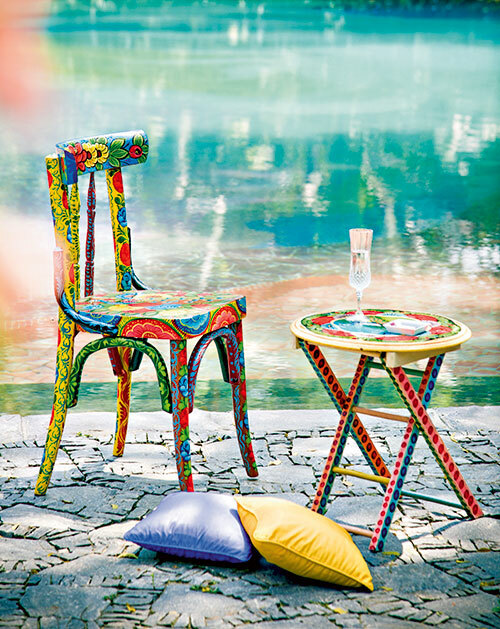 She even collaborated with Bharti Kher on a piece, thrilled with the idea of merging two forms. When asked as to what she would have become if fate had not thought otherwise, she presumes she might have been a yoga instructor, if not an architect. She also runs a stand-alone bookstore, Kathakali, in Marrakesh. When asked if she had ever thought of writing about her unusual life, she admitted on having been asked more than once to do so. What would be the title? I ask. “My Broken Life — Full of Colours,” she says. Yes, she now does have a lot to smile about!